Banx is a Queensland artist, born in Sri Lanka, schooled England, Scotland and Australia, worked in London, Wales, New Zealand and now, Australia. A New Zealand citizen of the world, Mike is proud to now call Australia home. He fell in love with Australia after traveling through the Red Centre and climbing Uluru in his teens whilst on exchange from Gordonstoun with The Southport School. A hospitality-industry trainer in London; carpenter and a signage designer in a former life, Banx’s current passions extend to site-specific art for corporate offices. Banx is inspired by the vivid colours of the Australian landscape in many of his works. A full-time artist Mike Banks (aka Banx) has illustrated and drawn for most of his life, following in a long line of several generations of published artists in his family. Banx moved to Brisbane to launch Moving Canvas Gallery in 2004, with his partner Kaye Fox and to paint full-time. Banx organised and ran art courses, life drawing groups and drawing courses for special-needs students, and taught privately as support for ‘Home Schooling’. His work has appeared on an Australian Foxtel television series in 2006; and he has taught contemporary art at the Summer Arts Retreat at the University of Southern Queensland in Toowoomba. His many varied works are held in private and public collections throughout Australia, New Zealand, Europe and USA, as well as galleries in Brisbane; at Wellington Point; in Bundaberg; The Reserve Vault and in many charity collections. He is Partner & Artist-in-residence at Moving Canvas, Stafford, Brisbane, where he specialises in site-specific commissions for city Corporates. 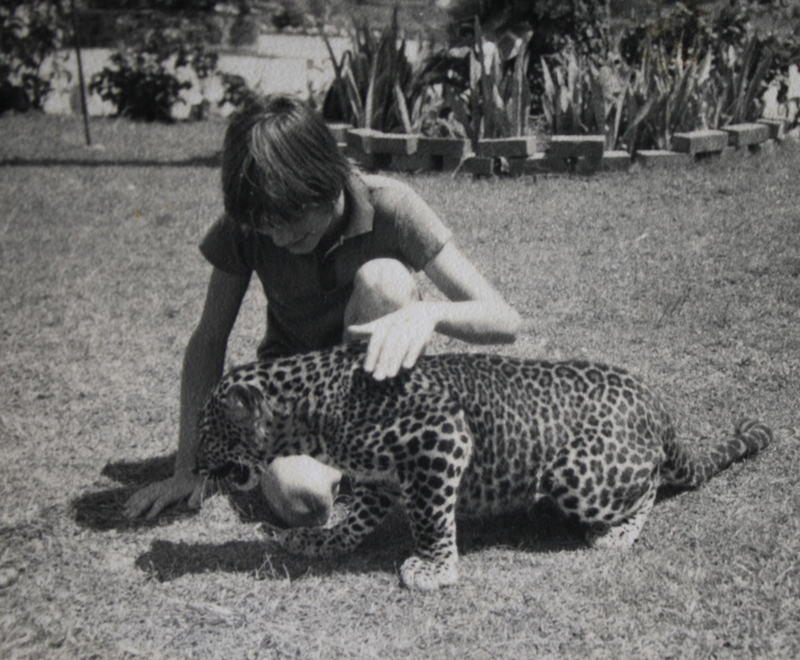 Yours truly with a leopard in Sri Lanka when a boy.